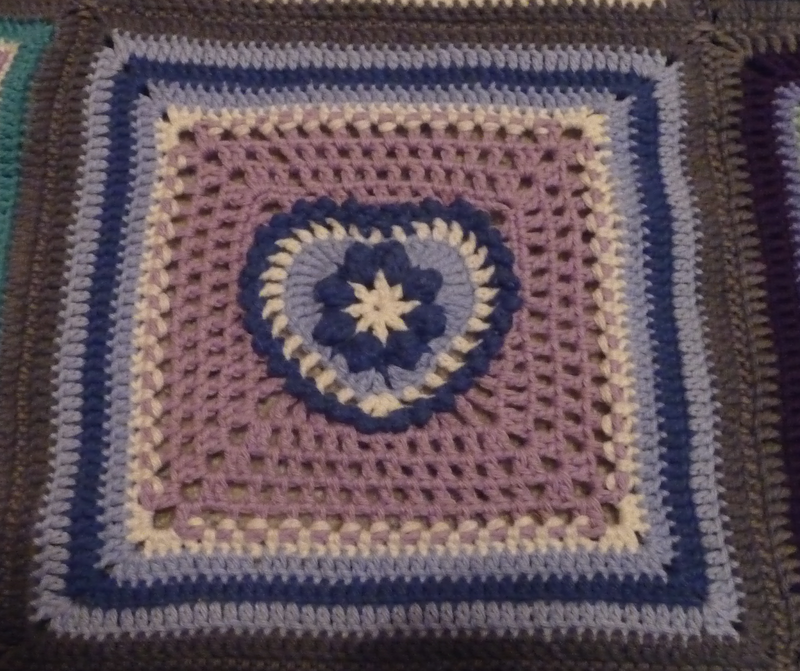 Since this was a wedding blanket I was happy there were so many heart squares and not just flowers although flowers are a big part in most weddings and love relationships too, but it fitted. But here goes, the Grandma's heart square. 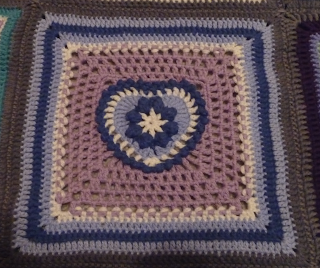 I am guessing it is called grandma's heart since the center is a heart and there are grandma stitches around that? 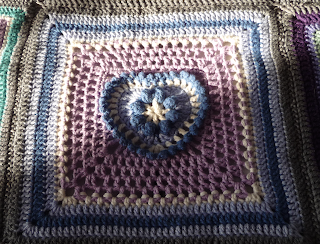 The grandma square rows were really easy and made fast progress. There are popcorn stitches in this square too and in this one I think my popcorns were ok, *Kio's still popped more so maybe my popcorns were taken out of the microwave too soon? 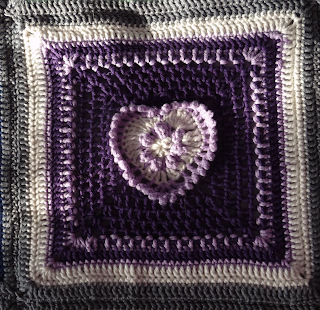 At around row 4 the picot stitches are added but the walkthrough suggested waiting until row 5 was finished and I did, somehow I added my picots wrong the first time so it was a square and it bothered me so much I had to go back and fix it even though I had done the entire square AND sewed in the ends. 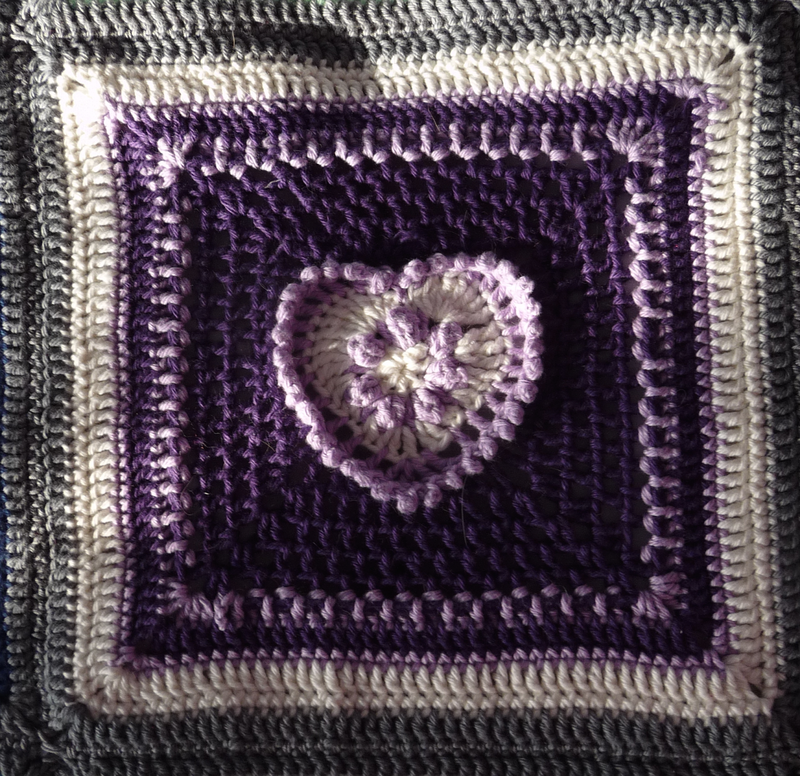 So now the picot row is in a neat little heart shape. 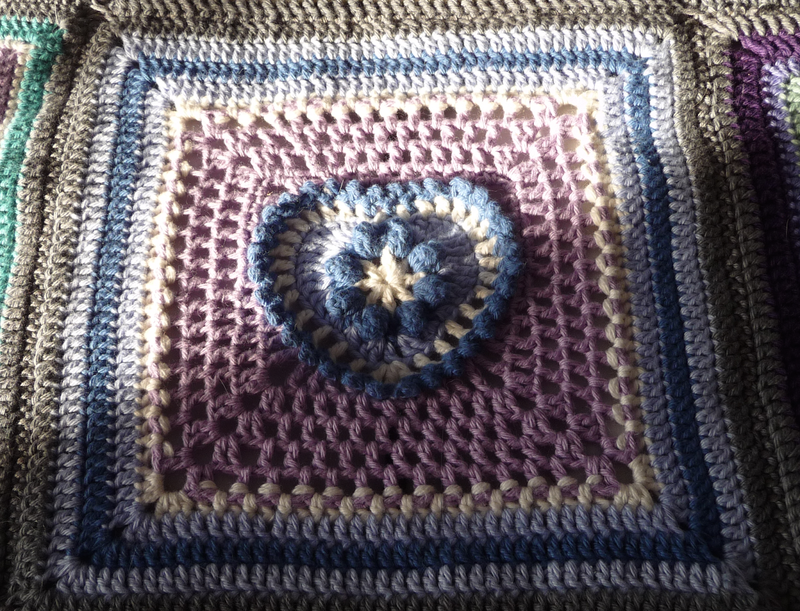 This is another one of those squares that I think would look good as a blanket with many of these together and I am sure I could make twenty something of these without getting tired. 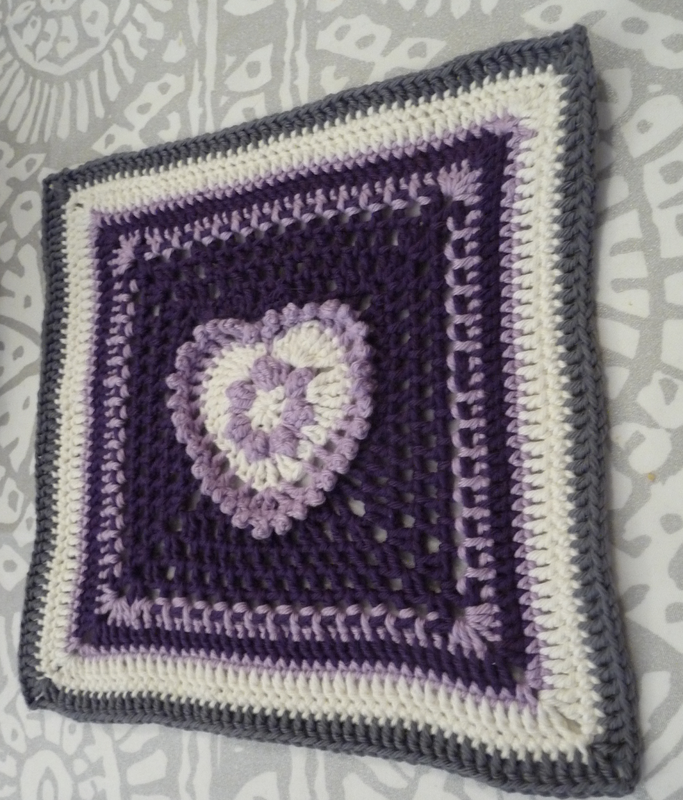 Perhaps with some regular granny squares?